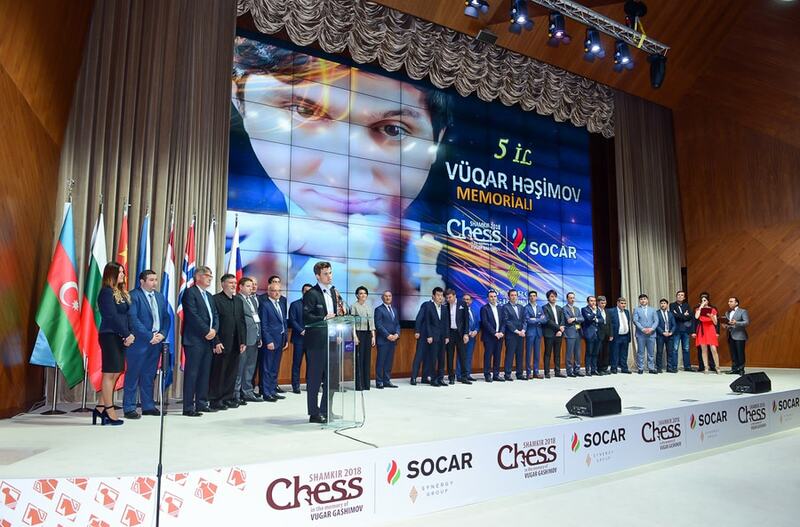 The traditional 5th Chess Super Tournament in the memorial of the prominent Azerbaijani grandmaster and European Champion, Vugar Gashimov, took place from 19th-28th April in Shamkir, Azerbaijan. 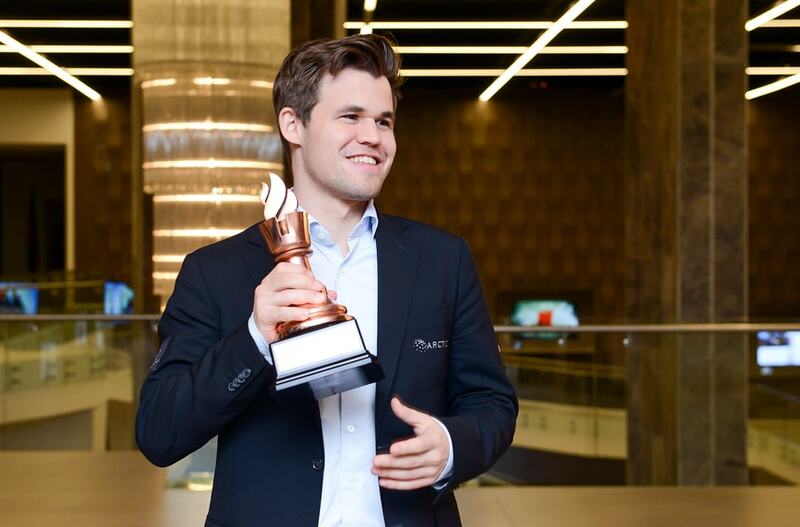 After nine rounds, reigning World Chess Champion, Magnus Carlsen (NOR, 2834) stood on the throne and became the Winner of the Vugar Gashimov memorial for the third time in his career (2014, 2015 and 2018). The event participated world top 10 Grandmasters: world #1 Magnus Carlsen (NOR, 2843), the winner of the tournament in previous 2 years and world #2 Shakhriyar Mamedyarov (AZE, 2814), world #8 Ding Liren (CHN, 2778), world #9 Karjakin Sergey (RUS, 2778), world #10 Giri Anish (NED, 2777), world #17 Veselin Topalov (ECU, 2749), world #18 Radjabov Teimur (AZE, 2748), world #19 Navara David (CZE, 2745), world #20 Wojtaszek Radoslaw (POL, 2744) and world #34 Mamedov Rauf (AZE, 2704). The event has started very firmly, with only one decisive result in 20 games of the first four rounds. Eventually things got more clear in the 5th round when Topalov Veselin took the lead with 3.5 points. 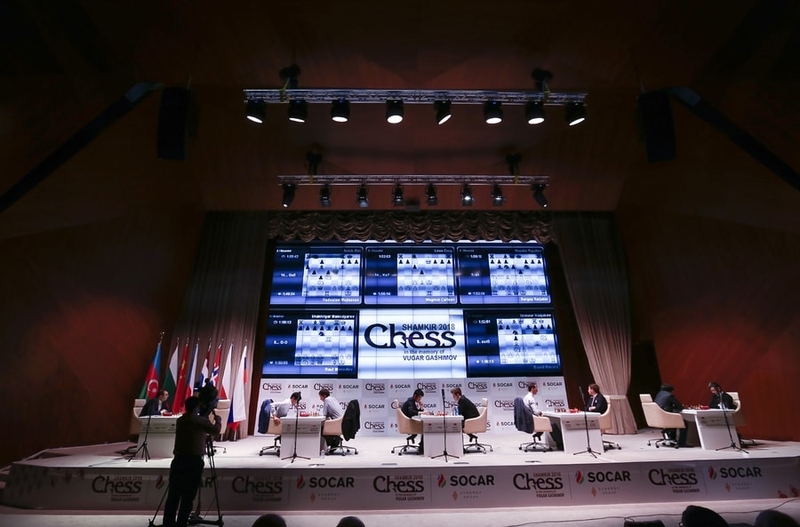 Until the end of the event, Magnus Carlsen overtook the leadership in the 7th round by defeating Topalov, and confirmed the lead in the 8th round by achieving another victory. Draw in the last round was enough for Carlsen to win the tournament with 6 points. The second place went to Ding Liren with 5.5 points, while Anish Giri, Shakhriyar Mamedyarov, Wojtaszek Radoslav and Radjabov Teimur tied for the third place, each with 4.5 points. The event was played as a 10 player robin round event with a total prize fund of 100.000 EUR, with 25.000 EUR reserved for the first place. All the games, pairings and rankings during the Championship can be found on the official website of the event.